When will I get the DASH rewards? DASH rewards are paid out on Tuesday every week. You have to deposit DASH to the reward account before 8 am of each Tuesday in order to earn rewards on Tuesday of the following week. If you deposit after 8 am of Tuesday, you will have to wait for the next Tuesday to join the DASH staking pool. Because the closest cut-off time has passed, you will have to wait to join the next Tuesday round of staking pool which will start 1 week after. Even if you store your DASH in the reward wallet during this time (10 July – 16 July), you will not earn any rewards from this period. You will start earning rewards for the amount you put in after 8.00am of Tue 17th July. 1. The number of masternodes in the DASH network: The more the number of masternodes, the fewer rewards each masternode earns. At the bottom of the page, you will find a reward calculator tool. To see the current reward rate estimate, you can put a mouse pointer over the question mark icon. You can also input the amount of your DASH in the reward calculator tool to get the estimate of the earnings. Is there a lock-up period? Cobo does not have a lock-up period for DASH stored in its reward account. Users can transfer it out anytime. Cobo will charge 0.01 DASH for withdrawal of any amount from DASH rewards wallet. How to join the DASH reward program? 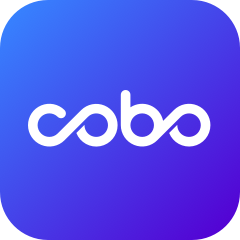 If you already have the Cobo Wallet app, please refer to the following steps.